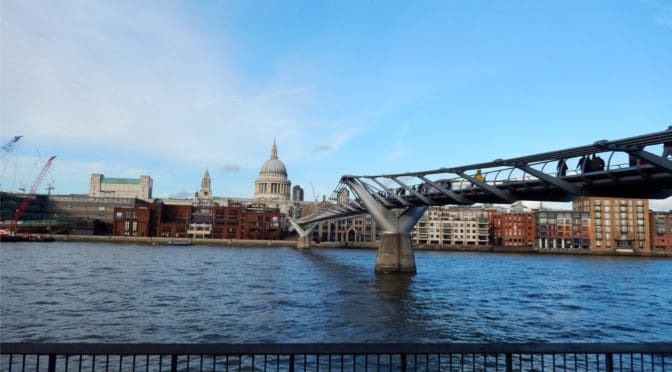 Reactivating the Riverfront, 1990-2015 covers some design, planning, and regulatory strategies deployed to reactivate the riverfront in Central London. London is a metropolitan region of nearly 14 million people covering over 3,000 square miles where redevelopment involves a dizzy array of design, social, economic and political factors, especially in the post-war period. 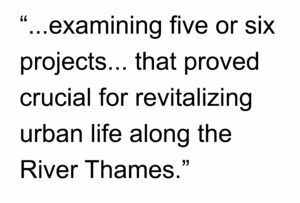 The course narrowly focuses on one particular aspect of redevelopment in that city over the last 25 years by examining five or six projects (depending on how they are parsed) on three sites from Westminster Bridge in the southeast to Tower Bridge in the northwest that proved crucial for revitalizing urban life along the River Thames (1.0 hour course). Key concepts: Section 106 Agreement, pedestrian movement, tourists, locals, circuiting, river access. Check here to purchase this course ($9.99), which includes an one-hour video presentation and PDFs of the course notes and slide handout. Note: We are beta-testing with these initial course offerings so if you have any issues accessing the course material, please do not hesitate to contact us at courses@outlaw-urbanist.com. Thank you!